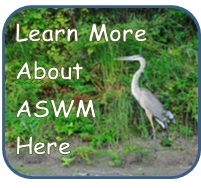 Over thirty years have passed since Scott Hausmann and I founded the Association of State Wetland Managers (ASWM). Scott and I founded ASWM with two goals—to support state wetland programs and to support national wetland policy reflecting sound wetland science. We and ASWM have tried to stay true to these goals during the ups and downs of funding and politics. We began our fledgling Association with no staff or budget. Our first National meeting in 1983 was hosted by Richard Haman and the University of Florida College of Law. To our delight over one hundred twenty wetland managers and scientists attended. The quality and enthusiasm of the attendees was striking. Most did not know each other prior to the meeting but many emerged friends. This was the first of many, many workshops ASWM conducted with a broad range of federal agencies such as the U.S. Environmental Protection Agency, U.S. Fish and Wildlife Service, National Oceanic and Atmospheric Administration, Natural Resources Conservation Service, and the U.S. Army Corps of Engineers. Other partners have included the Association of State Floodplain Managers, Society of Wetland Scientists, Coastal States Organization, National Association of Fish and Wildlife Agencies, and the Environmental Law Institute. Hundreds of symposia, workshops, publications, webpages, and webinars later, we are still looking for our keys (particularly in recent years). You must start where you are and not give up. Many who attended that first meeting in Florida also continue as wetland advocates and mentors. We thank all of you for working and cooperating with us over the years.